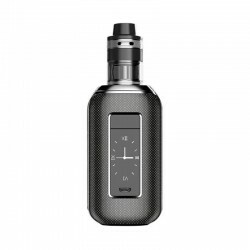 In this category you will find e-cig box mods of most famous brands like Eleaf, Aspire, Kangertech and others. These advanced vaping devices are much more powerful, than standard e-cigs. Moreover their power is adjustable, so you can find your best settings for each atomizer you use. 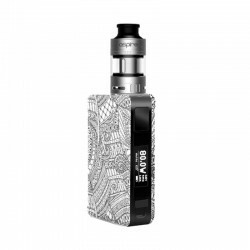 All box mods have adjustable Voltage and Wattage. These settings are displayed on LED display screens and can be adjusted by clicking appropriate buttons. Another advantage of box mods is that their battery capacity is much larger compared to starter kits. Usually batteries of box mods start from 1000 mAh up to 4400 mAh and more, depending on particular device. With these devices you can use advanced SUB Ohm atomizers which require much higher power output from your e-cig.